When God gives you a vision, He also gives you the steps to accomplish it (Psalm 37:23). 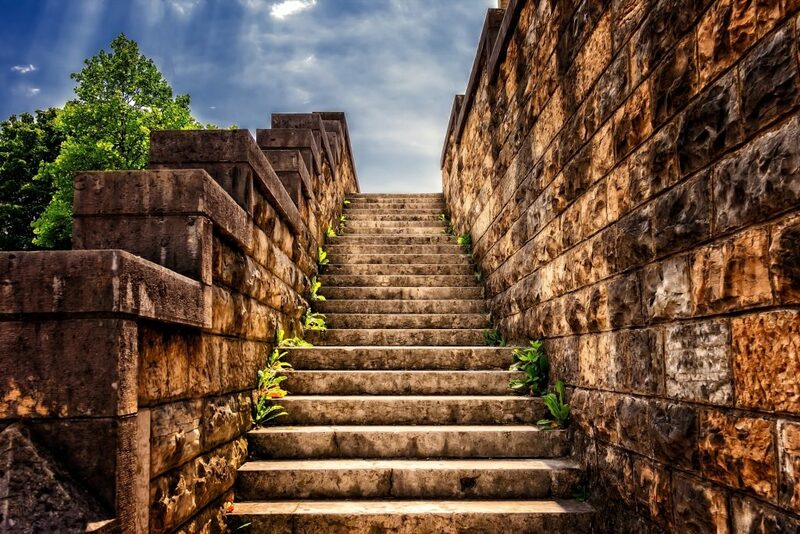 Each of those steps will require faith. When God gives you a step, don’t draw back in fear and unbelief. Hebrews 10:38 (KJV) says, “Now the just shall live by faith: but if any man draw back, my soul shall have no pleasure in him.” You must trust God completely. Fear and unbelief will hinder God from working and will keep you from fulfilling the vision He has for you. God gave the children of Israel a vision to possess the Promised Land. Step by step God led them out of Egypt, through the wilderness, and to the Promised Land. They were right on the border, and He gave them the next step: go in and possess the land. But they drew back because of what they saw in the natural—giants. They took their eyes off of God’s Word, focused on the giants, and wouldn’t take the next step. As a result, they didn’t fulfill the vision God had for them. God took care of them, but they didn’t progress any farther. They lived in the wilderness, right across the border from God’s vision for them—a land flowing with milk and honey. That generation spent their entire lives on the doorstep of their Promised Land and never entered in (Joshua 5:6).